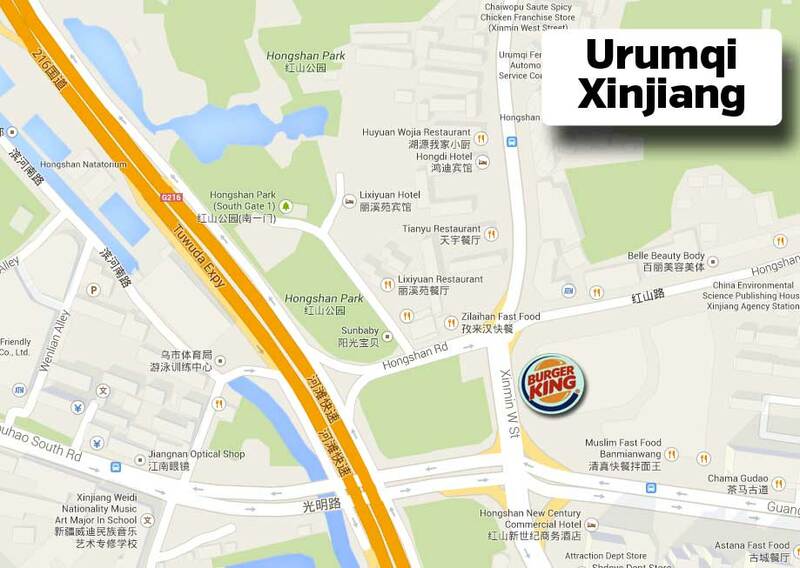 Last week, Burger King opened its first restaurant in Urumqi, Xinjiang not far from Hong Shan Park. 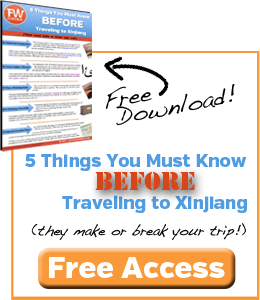 That may not seem like a big deal to you, but here in Xinjiang the buzz has been pretty big. Rumors started flying last year that Burger King was going to make its entrance into the Central Asia market but nobody was willing to believe it. These same rumors have been heard about McDonalds and Starbucks many times over and yet…nothing. 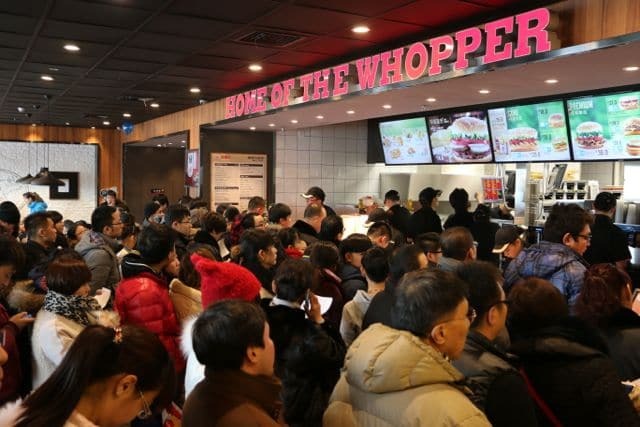 Last Thursday my family joined in the grand opening of Urumqi’s new Burger King and I must say, the experience was definitely worth the time waiting in line. 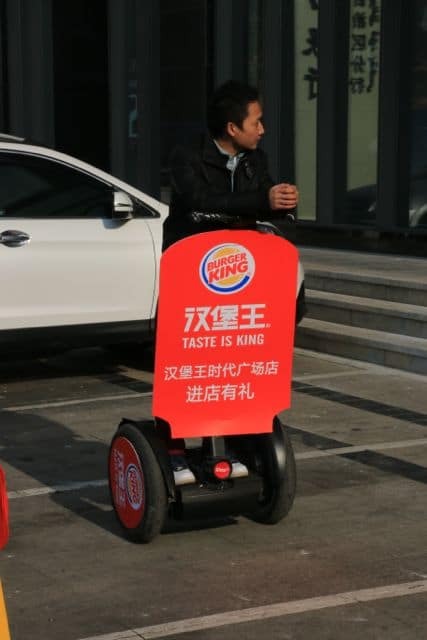 Who Cares About Burger King in Xinjiang? Apparently thousands of hungry Chinese people do. And me, I guess. Guilty as charged. 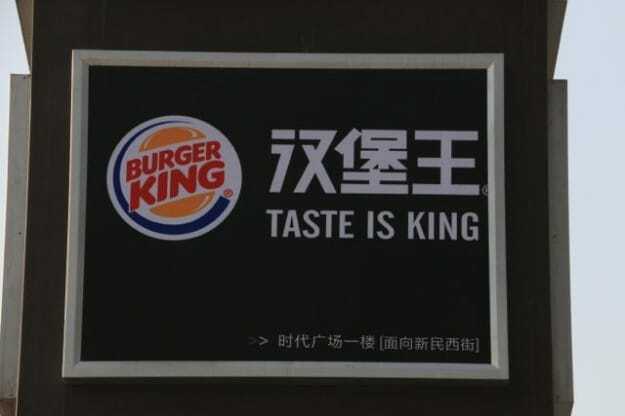 Burger King has been doing business in China for many years but reports are that it has made “so small a splash in mainland China” and perhaps this is because every other part of China already has a McDonalds, Carl’s Jr. and who knows what else. I admit – I never went to Burger King when I lived back in Texas. However it’s hard for me to pass up a Whopper when there is no other beef burger fast-food option in the entire Xinjiang province. KFC serves a chicken burger as does Dicos and a couple other smaller local chains, but they all long ago abandoned the beef burger. 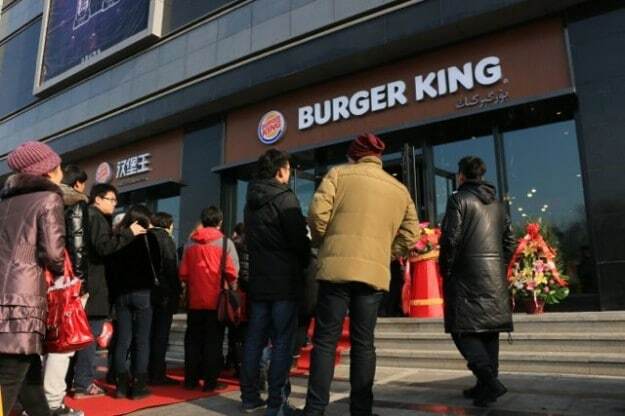 Perhaps KFC and these other chains know something about the Xinjiang market that Burger King has yet to discover, but based on my observations at the grand opening last week, BK shouldn’t be too worried. 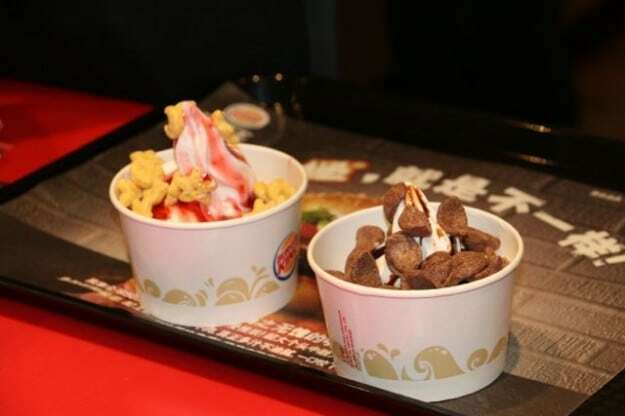 Using the power of WeiXin (also known as WeChat for us English-speakers) and ads all across Urumqi, Burger King had built buzz for a few weeks prior to this grand opening. Me, my wife and son all got ready to leave our home in the freezing cold weather as if we were headed to a formal affair. It seems silly but this felt like a big deal. We got there at about 1pm Beijing time (which is early by local standards) and had to wait in line for a good 20 minutes before we got our food. The special for the day was two burgers, chicken nuggets, fries, onion rings, two sodas and two deserts for 130 RMB (about US$22). They threw in a pair of movie tickets as a bonus. So yea, expensive to say the least, even by western standards. I’m not complaining about the Whopper, though. I thought the burger tasted excellent and surprisingly similar to what I would find in America, but take that review with a grain of salt as I haven’t had a good burger in quite a while. By the time we finished eating – and we were lucky that we even got a table – the line had now pushed far outside the door. The staff was politely controlling the flow of people who were allowed in the door and another hundred or more were waiting outside in the freezing cold Xinjiang, China winter. Most of the patrons were Han Chinese, although I did see a few Uyghur as well as some other foreigners. I never got confirmation that the store was halal but if they were smart when setting it up then it is (a sizable portion of Urumqi’s population is Muslim Uyghur and Hui). The most interesting thing to me is that I was expecting the menu to be more local. I’ve read stories about fast-food chains drastically changing their menus to accommodate the local palette or dietary restrictions, but that’s not the case here with Burger King. 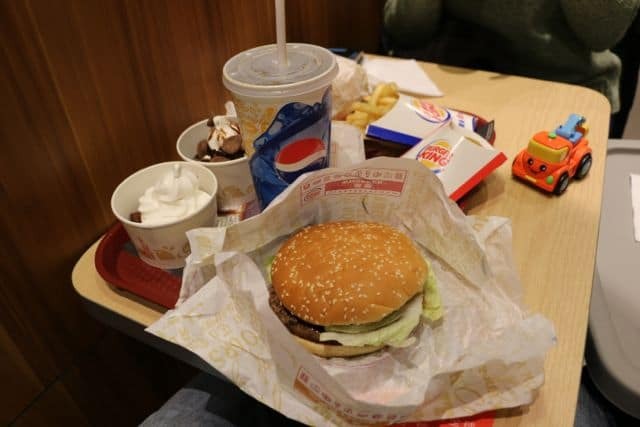 A Whopper, fries, drinks and desert. It’s simple and straightforward, but they do each of these things well. Again, maybe they’re going to go belly-up in a year or maybe they’ve beat McDonalds to a very lucrative market out here. Only time will tell. 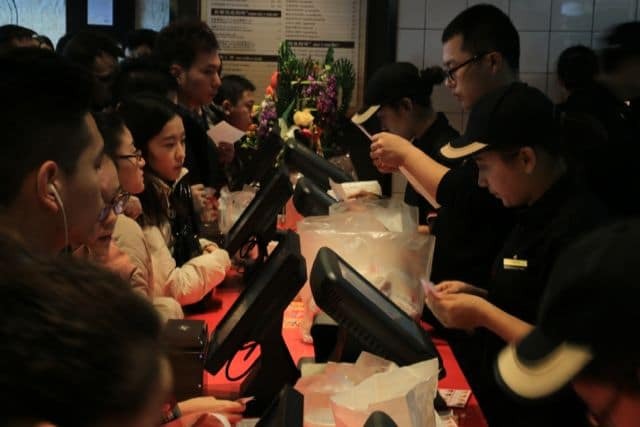 There were at least 30 people taking and fulfilling orders in a cramped space. 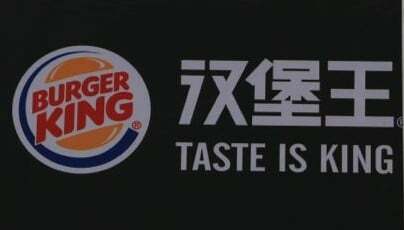 Burger King should start thinking about lamb burgers in Xinjiang. There is actually no reason for Burger King not to offer everything as halal, since the Han’s don’t mind having the food blessed. Thanks for the comment, Bill! 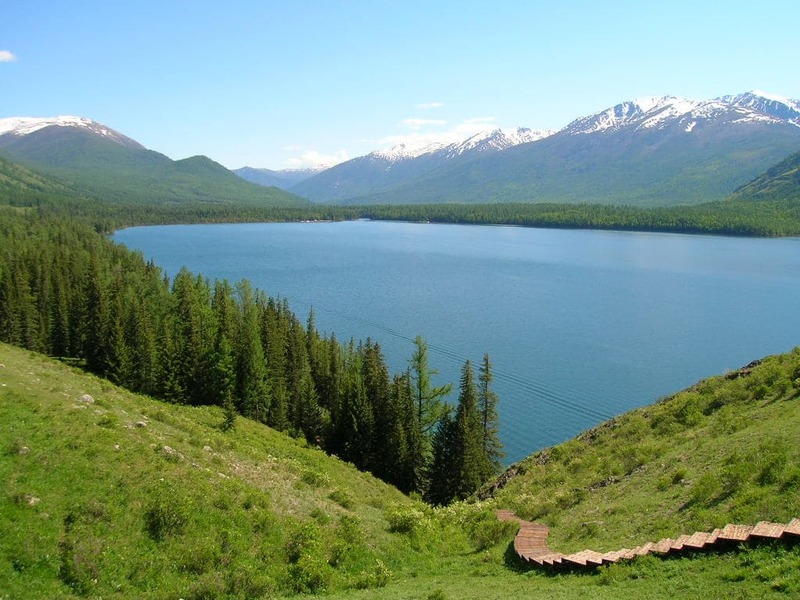 I agree with you – they have every reason to be halal, especially out here in Xinjiang. when we visit, we can retreat to some good old American food! Yea for burgers and fries! I understand the sentiment, Ian :) I don’t really care, though, to be honest. It’s not like they bulldozed some small mom-and-pop local joints to make way for the big, bad BK. want to eat that. hmm! What, there’s no Best Food Burger in Urumqi any more?? I lived there when the first KFC opened, and that was a Big Deal. I’m surprised it took this long for another Western chain to make it there. As you probably remember, they used to sell beef burgers but they don’t anymore. They’re all (or at least 95%) chicken menu just like KFC. I think that’s the difference with Burger King. Plus it’s just the “new thing”. Who knows how long that will last. Ah, got it. I’m remembering it in its McDonalds knock-off days. If the PRC wanted to do it right, they should invite In-N-Out. is that urdu written under the BK english sign? No, that would be the Uyghur language.